A telescope is an important tool for astronomy that gathers light and directs it to a single point. Some do this with curved mirrors, some with curved lenses, and some with both. Telescopes make distant things look bigger, brighter and closer. Galileo was the first person to use a telescope for astronomy, but he did not invent them. The first telescope was invented in the Netherlands in 1608. Some telescopes, not mainly used for astronomy, are binoculars, camera lenses, or spyglasses. Most big telescopes for astronomy are made for looking very carefully at things that are already known. 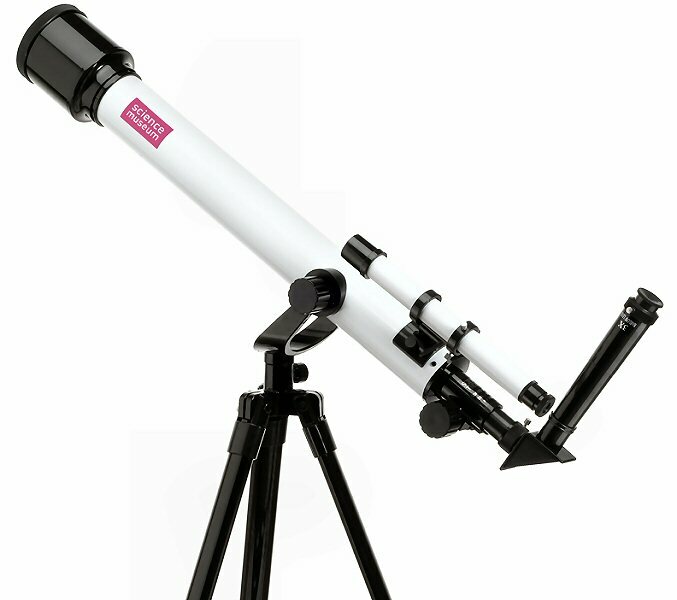 Newtonian telescopes are an example. A few are made to search for things, such as unknown asteroids. They are sometimes called "astrographs". The word "telescope" is usually used for light human eyes can see, but there are telescopes for "invisible" light. Infrared telescopes look like normal telescopes, but have to be kept cold since all warm things give off infrared light. Radio telescopes are like radio antennas, usually shaped like large dishes. X-ray and Gamma ray telescopes have a problem because the rays go through most metals and glasses. To solve this problem, the mirrors are shaped like a bunch of rings inside each other so the rays strike them at a shallow angle and are reflected. These telescopes are space telescopes because not enough of this radiation reaches the Earth. Other space telescopes are put in orbit so the Earth's atmosphere does not interfere. Wikimedia Commons has media related to Telescope.